The use of convected heated air was formally introduced to the Structural Pest Control Industry in 1989. It was conceived, researched, and initially patented by Dr. Charles Forbes, CSDH and Dr. Walter Ebeling, UCLA. Michael R. Linford PhD developed, commercialized, patented, and wrote the technical manual for Thermal Pest Eradication (TPE) in a joint venture with Forbes and Ebeling. Michael R. Linford PhD is part of our Scientific Advisory Board and has been instrumental in establishing a complete portable equipment package and training that will guide you through a step-by-step procedure for bed bug, cockroach and other target pest eradication. 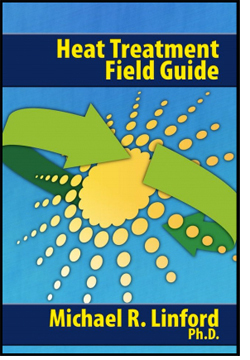 This includes an overview of the heat methodology, bed bug biology and the basics of where to probe, how to establish convection currents in order to distribute the heat, sanitization, disinfection of treated areas and more. We cover the bed bug life cycles and how resilient they are to chemicals as well as unsuccessful treatment methods like freezing and steaming for bed bug eradication. The training is designed to help you achieve a 100% kill of the target insect and ensure success for you and your customers. Killing bed bugs is much more complex than just buying a heater and turning it on. Step-by-step procedure for bed bug, cockroach and other target pest eradication. Bed bug biology and life cycles. Bed bug resistance to treatment methods. Overview of the heat methodology. How to establish convection currents in order to distribute the heat. Equipment overview including electric convected heaters and Greentech Titan direct fired heaters. Unsuccessful treatment methods like freezing and steaming. Worker and environment safety practices.